The present study explored the extent to which self-esteem is a significant predictor of social network use and the level of anxiety and assertiveness participants feel during traditional and online interactions. Using a survey design (N=184), it was found that lower self-esteem was not associated with more intensive social network use, in contrast to the social compensation theory. Self-esteem was a significant negative predictor of social anxiety as well as a positive predictor of assertiveness in traditional and online settings. Higher social anxiety was also associated with lower social assertiveness in both settings. Exploratory results showed that participants who engaged more frequently in online activities also reported significantly higher levels of assertiveness and lower levels of anxiety. 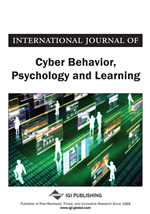 These findings suggest that online behaviors reflect different personality characteristics, with self-esteem being an important variable to consider in the exploration of online behaviors and experiences. Social networking sites such as Facebook provide a number of services to the user in that they can create their own profiles, generate a list of preferred connections, view and access their own list of network contacts and potentially that of other users (Boyd & Ellison, 2007). The use of social network sites represents an important development in social interactions as they are increasingly taking place in virtual space. More and more individuals are using social networks to relate to one another. This also means that how we relate to others and interact with them may increasingly take place online. With the emergence and increased popularity of social networking sites, there has been a substantial increase in peer reviewed articles on the motivations, predictors and consequences of social network use (see Macafee, 2013; Skues, Williams & Wise, 2012), and research interest is rapidly increasing (e.g., Wilson, Gosling, & Graham, 2012). Frequent issues of interest include privacy (Taddicken, 2014), self-disclosure (Park, Jin & Jin, 2011), social capital (Lampe, Ellison, & Steinfeld, 2008), motivation (Ross et al., 2009), and the personality of users (Ljepava, Orr, Locke & Ross, 2013). Several researchers have started to investigate how personality factors influence predictors of Facebook use (Amichai-Hamburger & Vinitzky, 2010; Correa, Hinsley, & de Zúñiga, 2010; Ross et al., 2009; Ryan & Xenos, 2011; Wilson, Fornasier, & White, 2010). Some of these studies focused on the variables in the Five Factor Model (McCrae & John, 1992), that is, neuroticism, extraversion, openness to experience, agreeableness, and conscientiousness (e.g., Amichai-Hamburger & Vinitzky, 2010; Ross et al., 2009). According to Fleming (2013), extraversion is the most prevalent trait in research of Facebook use. Assertiveness is strongly associated with extraversion. Self-esteem (Ellison et al., 2007; Kalpidou, Costin & Morris, 2011; Mehdizadeh, 2010; Wilson et al., 2010) and social anxiety (Caplan, 2007) are two other psychological constructs of interest. Another area of interest is the extent to which certain individuals tend to be more socially engaged and have experienced enhanced online social interactions (see Buote, Wood & Pratt, 2009; Forest & Wood, 2012). Although current literature has had a focus on the associations between personality traits and Facebook use, few studies have examined the simultaneous effect of multiple variables (Skues et al., 2012). Several researchers have found that Facebook is used to maintain existing offline relationships (Ellison, Vitak, Gray & Lampe, 2014). Similarities and differences between online and offline friendships were explored in the study of Buote et al. (2009). Aside from this research, we did not identify any other studies to date that have examined the relationship of different personality traits such as anxiety and assertiveness in both online and traditional social interactions. We wish to contribute to the research by addressing two areas. First, this study examines whether specific user differences play a role in social interactions in both online and traditional settings, thus determining whether social interactions are dependent on context. Second, we intend to investigate the role of selected user differences in terms of the use of and activities on the social network site Facebook.